The proposed project aims at automatically positioning a dish to exact angle for receiving maximum signal by using a TV remote. 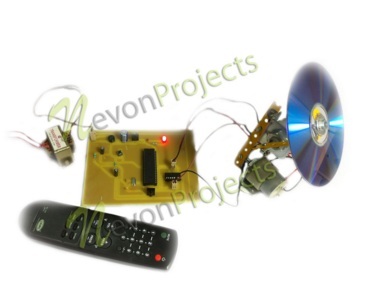 The project uses a microcontroller of 8051 family which is interfaced to two motors that causes the dish movements in horizontal and vertical direction according to the commands generated by microcontroller. By operating a TV remote, coded signals are transmitted from it to IR receiver that is interfaced to microcontroller. 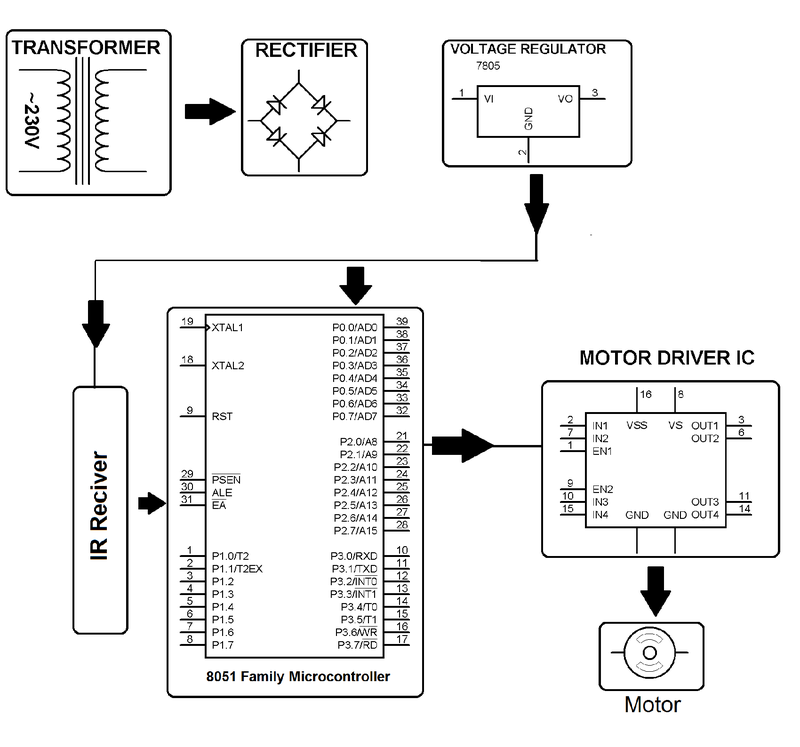 IR receiver decodes the data (signal) and sends it to microcontroller that initiates the motors for movements through motor driver IC interfaced to motors. 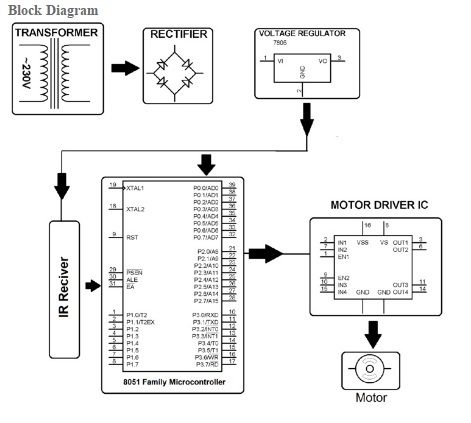 TV remote uses standard RC5 code that can be recognized by microcontroller to generate appropriate output signals.